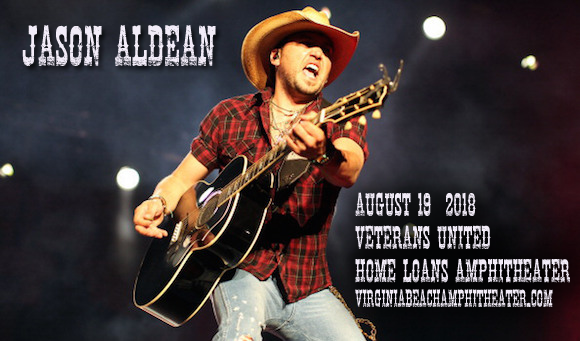 Get ready for another high octane show from country superstar Jason Aldean as he heads to Veterans United Home Loans Amphitheater on Sunday 19th August 2018 as part of his High Noon Neon Tour! Named after a song on his eagerly awaited upcoming album, the tour will see an explosive headlining set from Aldean, as well as support from an incredible line-up in the form of young country sensations Luke Combs & Lauren Alaina! Jason Aldean is an American country singer who made his debut in 2005 with his eponymous first studio album, released on Broken Bow Records. The album launched three Top Ten hits, including his first number one single “Why,” and was certified platinum by the RIAA. Aldean's 2007 album Relentless and his 2009 album Wide Open were also platinum-certified, with his 2012 album Night Train achieving double-platinum certification and his 2010 album My Kinda Party achieving quadruple-platinum certification. Twenty seven of Aldean's singles have charted in the Top Ten of the Hot Country Songs or Country Airplay charts, including nineteen number one singles.